According to Google, over 30 million people around the world use apps designed for kids K-12 to help them learn through tablets and phones. 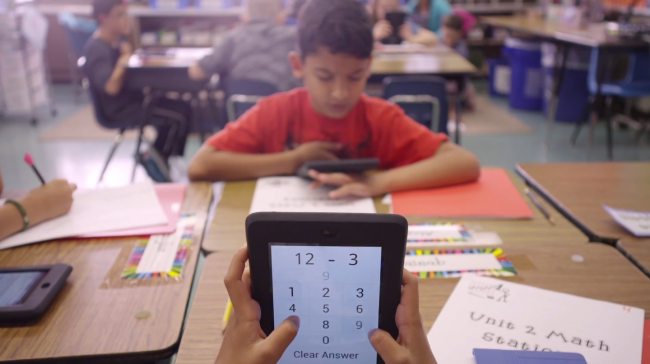 Today, Google is announcing enterprise tablets designed with Google Play for Education in mind and is inviting schools to apply so its kids can experience the technology. In its release today, Google is offering up three different types of tablets for schools and administrators to choose from. Obviously the Nexus 7 is the first, available today, and the 10″ ASUS Transformer and 8″ HP Slate Pro can also be ordered. Once the teacher gets their tablet, all of the student’s tablets only have to be tapped against the original tablet to be set up through NFC. Pretty cool right? Google hopes that this effort will be an “affordable, 1:1 solution that puts greater power in the hands of teachers.” It remains to be seen how many schools will join the program, but the video below paints a pretty good picture of its interaction with the kids.